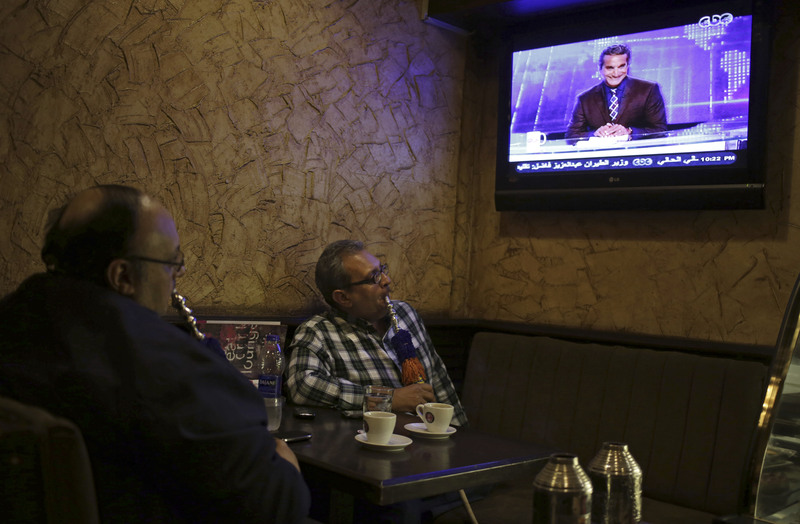 CAIRO Complaints streamed into the office of Egypt's top prosecutor Saturday against a popular television satirist, less than 24 hours after he returned to air following a military coup that ousted the country's Islamist president. Bassem Youssef, often compared to U.S. comedian Jon Stewart, mocked the new pro-military fervor gripping Egypt in his program that aired Friday night. He also took jabs at the country's powerful military chief, Gen. Abdel-Fattah el-Sissi, lionized in the Egyptian media as a hero. By Saturday, at least four complaints had been filed with the country's top prosecutor, accusing Youssef of defaming the military in his show, a judicial official said. One of the complaints accused Youssef of using phrases that "undermine the honor and dignity of Egypt and its people" in a manner sowing sedition and spreads lies. During Friday's show, Youssef imitated the general's soft-spoken, affectionate way of addressing the public, turning it into a lover's romantic groove. In one skit, a woman named "the Public" calls into a love advice show raving about the love of her life who saved her from an abusive husband. "He's an officer as big as the world," she coos adoringly, making a pun on a slogan el-Sissi uses in nearly every speech - "Egypt will be big enough to face down the world." Then she adds, "He does have a sovereign streak." El-Fadaly, who heads an association of young Muslims, also accused the satirist of belittling the armed forces' efforts dealing with terrorism, and of misrepresenting the popular protests against Morsi as a coup. In a copy of the complaint obtained by The Associated Press, el-Fadaly said the program contained phrases that undermined "the honor and dignity of Egypt and Egyptians and can only be characterized as ... blatant libel and insult that should enjoy no legal protection." Youssef used satire to criticize Islamist President Mohammed Morsi, ousted by the military following popular protests in July. Morsi supporters also sued Youssef for insulting the presidency and Islam, leading to his brief detention. Before returning to air after four months of absence, Youssef predicted that he will continue to be pursued legally by his new critics "who allegedly love freedom dearly - when it works in their favor," he wrote in an article. For now, Youssef appears to be basking in the limelight. After Friday's show aired, Youssef took to Twitter to remind the public: "It is only an episode in a program, people."